Insurance companies' toy giveaways are loved by consumers, which is why it is not much of a surprise to see the ad promoting the chance to get a free 'Brian the robot' grant Confused.com the number one spot this week with a whopping 54% recall. Webuyanycar.com and McDonald's take second and third place with 47% and 35%, respectively. 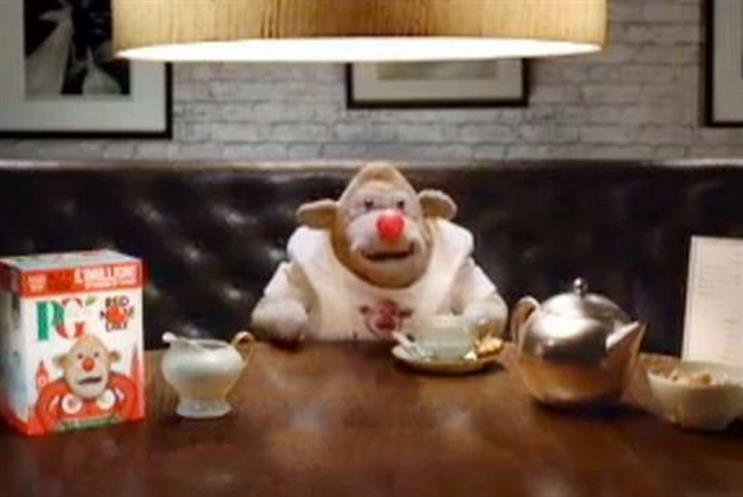 Meanwhile, PG Tips lands fifth place with its Comic Relief effort. Adwatch research was conducted from 25 to 27 February 2015 by TNS as part of its twice-weekly OnLineBus omnibus among 1000 adults aged 16-64. For details of the survey, contact Anita.Emery@tnsglobal.com (020 7656 5900). Ads were compiled by Ebiquity (020 7650 9700) and Mediaedge:cia UK (020 7803 2000).